I’ve been getting some questions about which USB hubs I use. 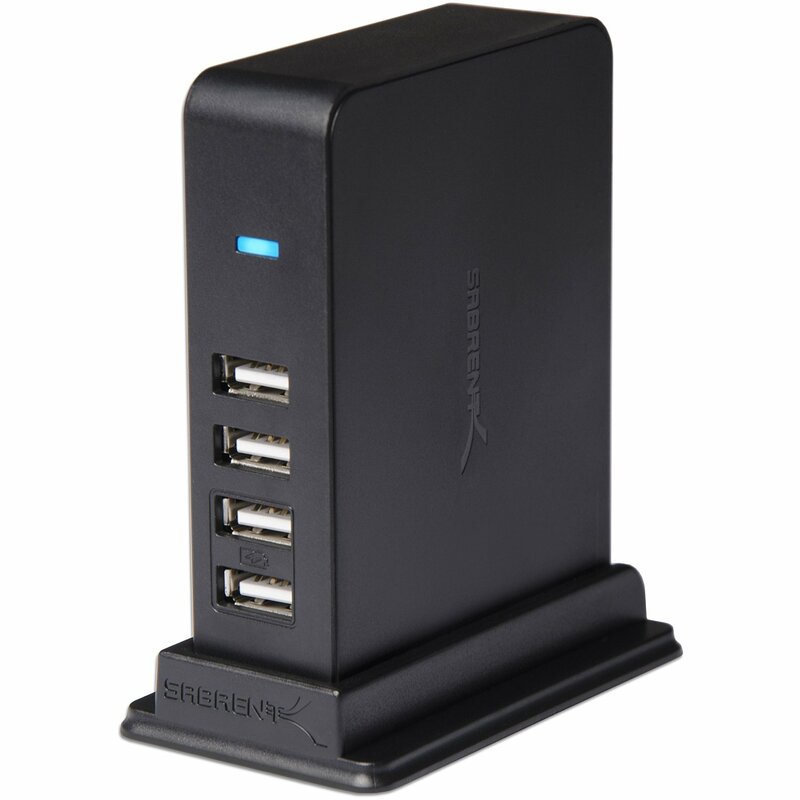 I have several of the “Sabrent 7 Port USB 2.0 HUB + 2 Charging Ports with 5V/4A Power Adapter (HB-UST9)” hubs. They work fine, have charging ports as well as data ports, and you can attach them to the panel base with Velcro tape. Remember not to attach more that four devices at a time or you’ll get unreliable results (assume each device needs 500mA of power). They are here on Amazon. Is Prepar3D 64-Bit On The Way? Thanks for this, I’ve been struggling with which hubs to get. Quick question… (apologies if I missed this in another post) which devices do you have plugged in to the two charging ports on each hub and which devices only need the regular ports? I have the iPad plugged into the “charging only” port. As I understand it those ports provide power but no data transfer. That’s four devices to single hub right? Thanks for your awesome blog! Why 4 only? If you need to draw 0.5A per port on a 4A capacity, shouldn’t it be 8 ports ? Am I missing something?